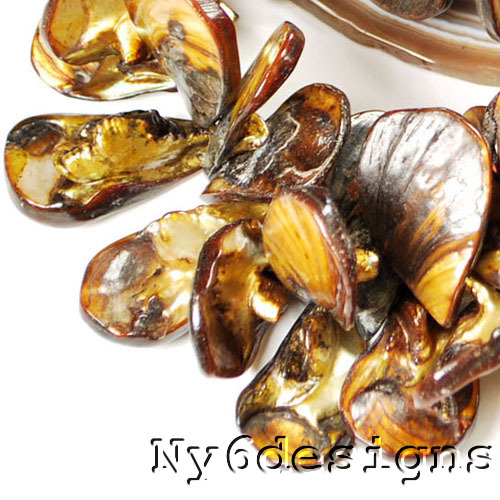 Nature provides the most beautiful materials for jewelry making. One of nature’s beauties, Mother of Pearl, is made by sea creatures. ‘Mother of Pearl’ is the common name for ‘nacre’. Nacre is an organic and inorganic material that coats the inside of pearl oyster, freshwater pearl mussel, and abalone shells. The pearls, themselves, have an outer layer of nacre. Nacre is strong and iridescent. The Layering and structuring of its materials make it strong. It appears iridescent because the thickness of layered calcium carbonate is close to the wavelength of visible light and, at different angles, will create colors, according to Wikipedia. Mother of Pearl is considered an organic gem. An organic gem is created by a living creature, plant, or organism. The smooth nacre in the inner shell surface helps protect the soft tissue of the sea creature from external debris. Unwanted debris is encapsulated by the nacre, forming a pearl. The nacre coating of sea shells has been used for thousands of years for decorative purposes in architecture, apparel, musical instruments, and jewelry. The material is often cut into shapes to make a mosaic of tiles for floors, ceilings, walls, and doors. Kings and queens have favored nacre as elaborate buttons on their royal costumes. Nacre inlay has adorned many types of musical instruments. It has also remained very popular for jewelry pendants, beads, and watch faces. Why Is Nacre Called Mother of Pearl? 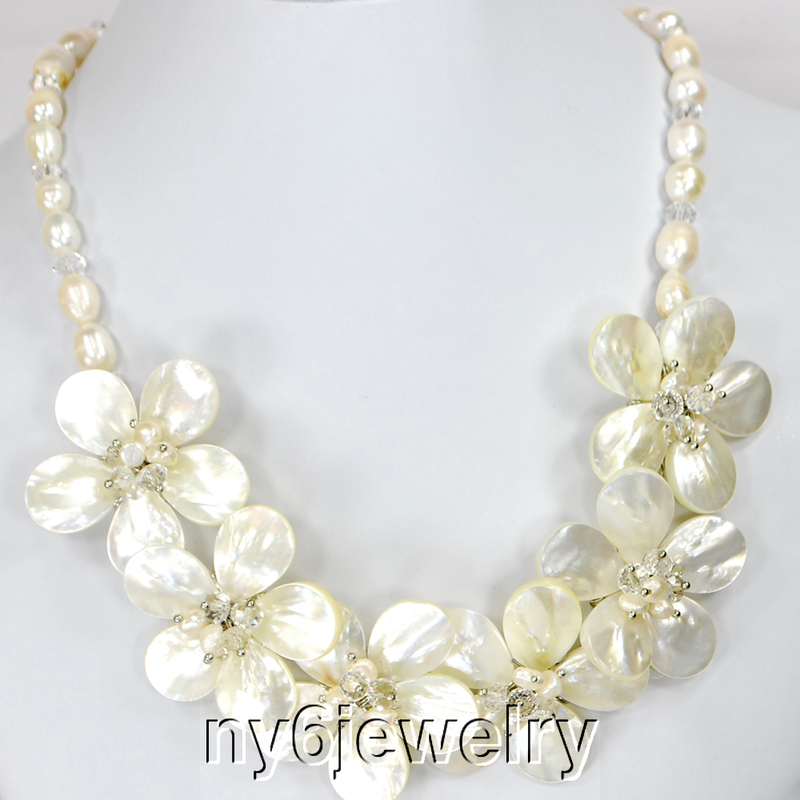 Many believe Mother of Pearl to have a protective nature for the person wearing it. Much like it protects the sea creature from harmful substances or organisms in sea water, it’s said to help protect the wearer from harm. The material is also associated with the calming of emotions and the relaxation of the sea, from which it’s found. 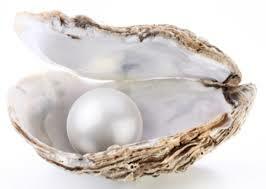 The pearl is the birthstone for the month of June. Your Mother of Pearl pieces should be kept away from strong heat and very dry air. This will help it remain strong and hydrated. Never use abrasives or alcohol to clean it, as these could damage the lustrous coloring. You can make your own jewelry with Mother of Pearl. 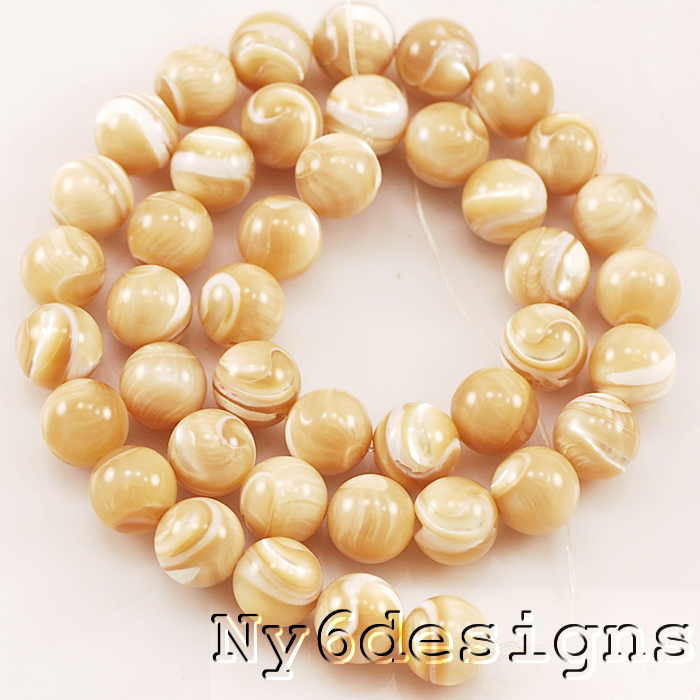 Many sizes, shapes, and colors are currently sale priced online at Ny6Designs Beads and Jewelry Supply and at the store at 1023 S. Greenville Ave., Allen, TX. Experiment with design ideas. Consider combining your Mother of Pearl with pearl beads.